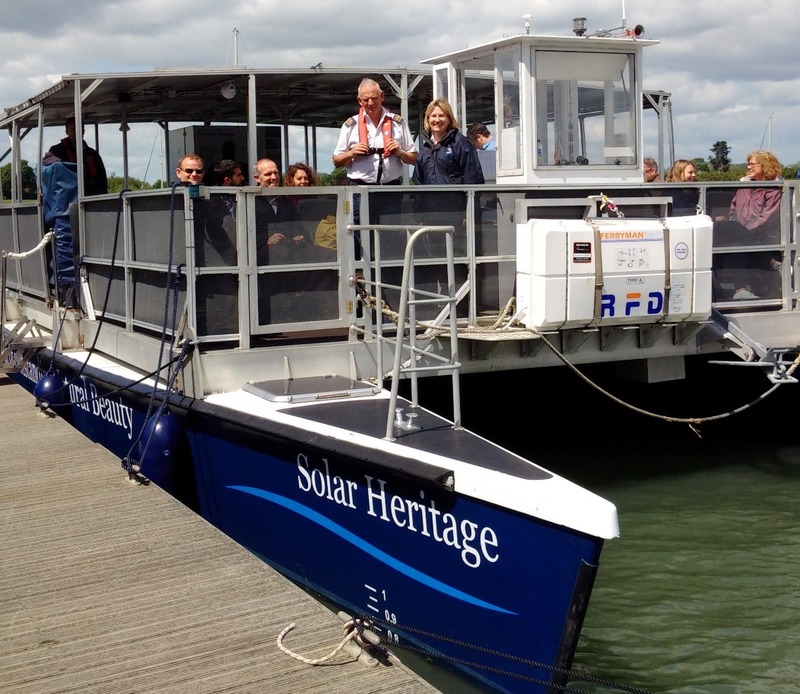 Come aboard our solar powered vessel and enjoy the beauty of Chichester Harbour. With a general commentary from the crew. Hot drinks and biscuits are available on board and you are welcome to bring your own refreshments if you wish. Please use environmentally friendly cups and containers. The boat is fitted with a wheelchair lift and a toilet. Sorry no dogs except assistance dogs. Please book online or by phoning 01243 513275 (Monday to Friday 9am to 5pm). Online bookings close two hours before the departure time. Do you need to use our wheelchair lift? If so, please call the office on 01243 513275. IMPORTANT: Please note that outdoor events and boat trips are weather dependant. We aim to let you know by email or phone in good time if an event is cancelled due to a bad weather forecast. Please check your emails before leaving home. If still unsure please call the office on 01243 513275 (Mon to Fri 9am to 5pm). Conservancy cancellations: Events may be subject to alteration or cancellation if we do not receive sufficient bookings to cover costs. In this case you will be contacted by phone and/or email and a refund will be made. Customer cancellations: We are sorry but due to administration costs, all fees paid that are under £10 are non-refundable. Refunds where the fee is £10 or more can be made only if we are able to fill your place.